In November 1996, the Center for Media and Public Affairs (CMPA) partnered with the Louis Harris Organization to poll 3,000 people about their attitudes toward the press. 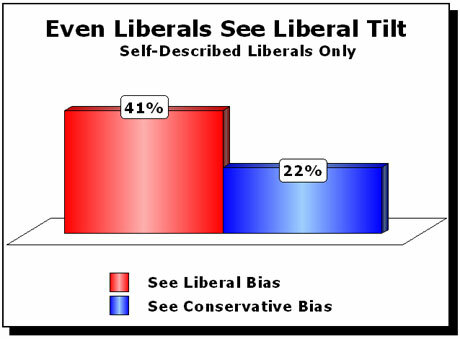 According to the poll, those who saw a liberal bias outnumbered those who perceived a conservative bias by two-to-one. The results of the poll were published in the May/June 1997 Media Monitor, the CMPA's newsletter, and later released as a 226-page report, What the People Want from the Press. 'These findings challenge the argument of some journalists that bias is purely in the eye of the beholder. Although conservatives are three times more likely to see liberal rather than conservative bias, moderates and liberals alike see liberal bias in the media twice as often as they see conservative bias,' CMPA concluded.